Made from 100% Jamaican Guinea Hen Weed roots, the most active part of the plant, Guinea Hen Weed is rich in anti-oxidants with anti- inflammatory properties known to improve overall immune function. Made from 100% Jamaican Guinea Hen Weed roots, the most active part of the plant, Guinea Hen Weed is rich in anti-oxidants with anti- inflammatory properties known to improve overall immune function. Traditionally used for a wide variety of health related conditions including arthritis, digestive disorders, infections, diabetes, cancer and pain relief. 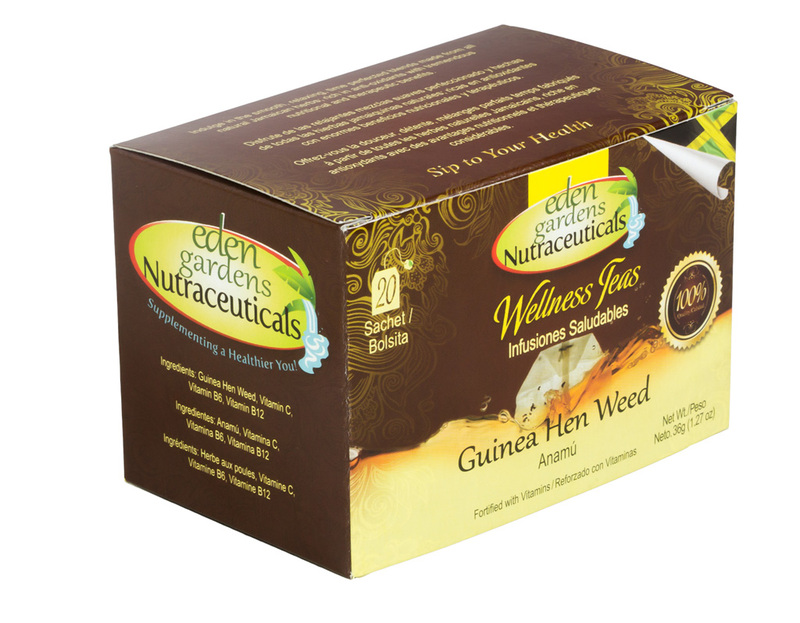 Guinea Hen Weed is traditionally known to aid in the production of red blood cells and regulation in blood sugar level. 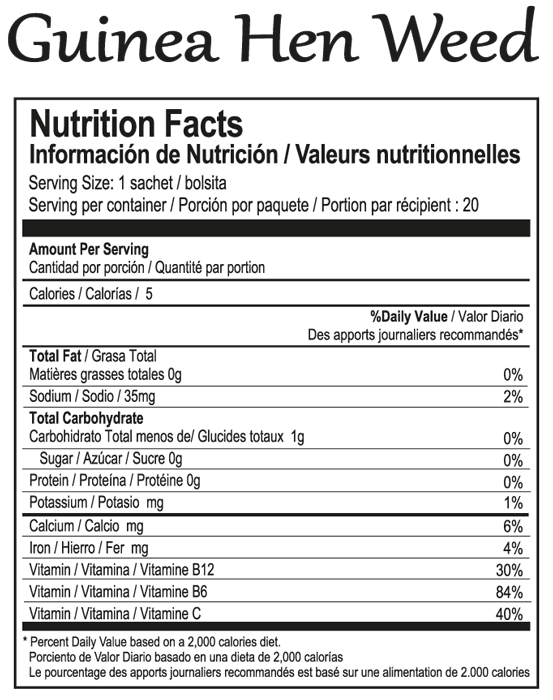 Aids in the production of red blood cells and regulation of blood sugar levels. A unique combination of Jamaican Guinea Hen Weed and Cinnamon with a delightful taste that is helpful for pain relief and known for its cancer fighting properties. Made from Jamaican Guinea Hen Weed roots, the most active part of the plant, Guinea Hen Weed is rich in anti-oxidants with anti-inflammatory properties known to improve overall immune function. Traditionally used for a wide variety of health related conditions including arthritis, digestive disorders, infections, diabetes, cancer and pain relief.